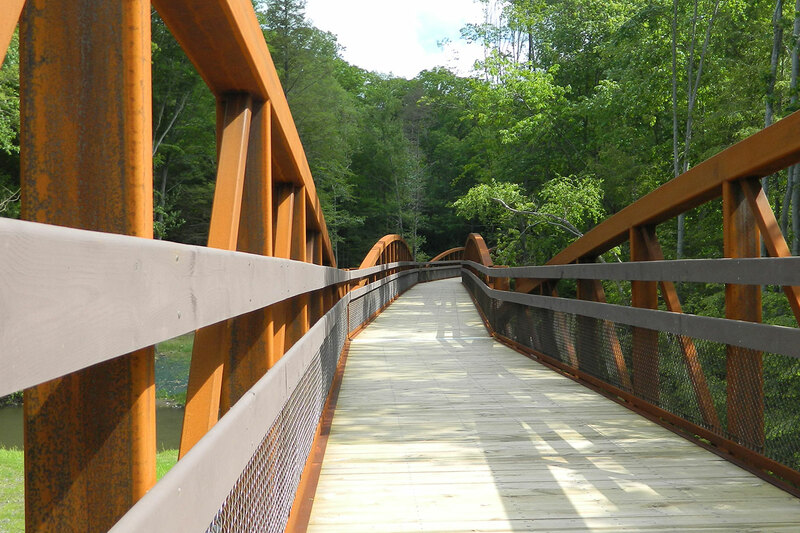 Stakeholders waited decades for the transformation of 3,520-acre Swatara State Park into an active recreational and educational facility including three bridges, a visitor center with maintenance complex, and five trailheads with comfort stations, potable water, electric, parking and informational kiosks. Century made it possible, delivering as many enhancements as the budget would allow in a synchronized effort that achieved consensus between all authorities. 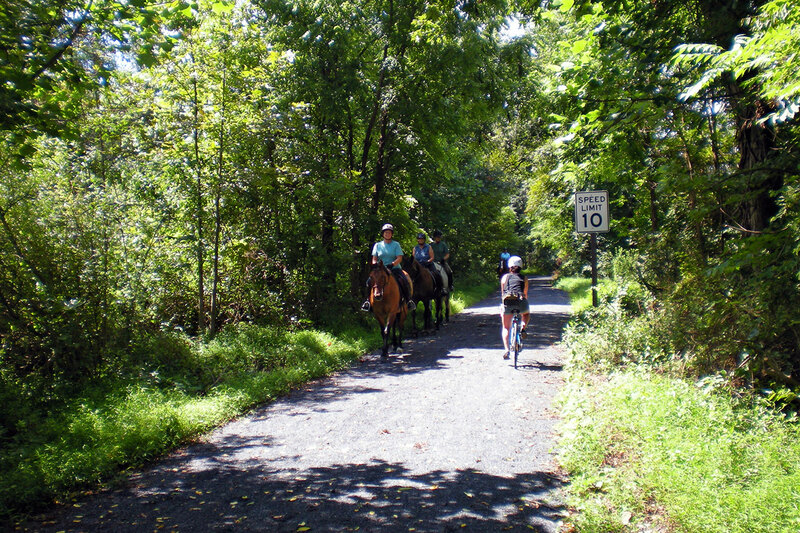 Park improvements included 14 miles of safe, scenic trails for use by pedestrians, bicyclists, equestrians, and occasional motorists. Design incorporated buffer areas, recycled asphalt, and reinforcing features such as dirt glue in steeper areas, ensuring safe and comfortable visitor adventures for years to come. Creating a standout visitor experience in a remote outdoor setting requires considering every foreseeable need. Convenient parking, canoe launches, comfort stations, and portable water, electric and informational kiosks at each of the five new trailheads provide guests with everything they need to take full advantage of the redeveloped park. Century’s work considered the natural features of the park and developed improvements that enhanced them. 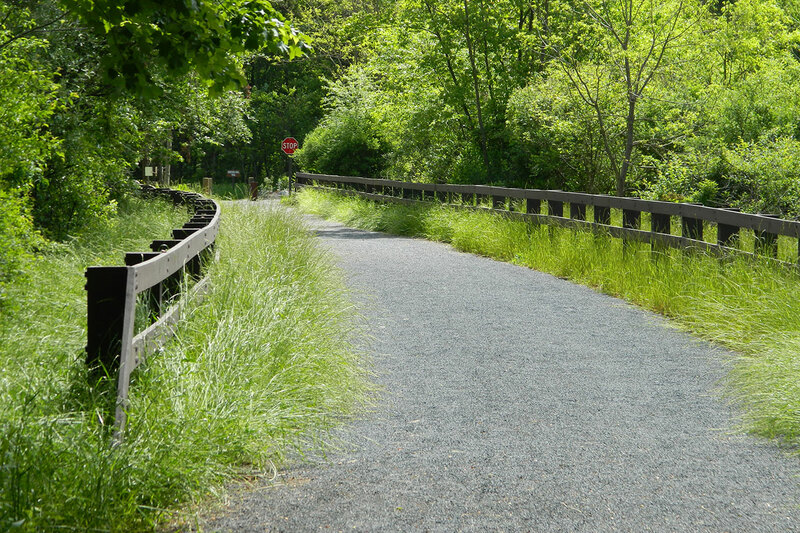 The trail design maximized existing features within the park, such as abandoned railroad bed, abandoned sections of roadway and existing bridge substructure elements. 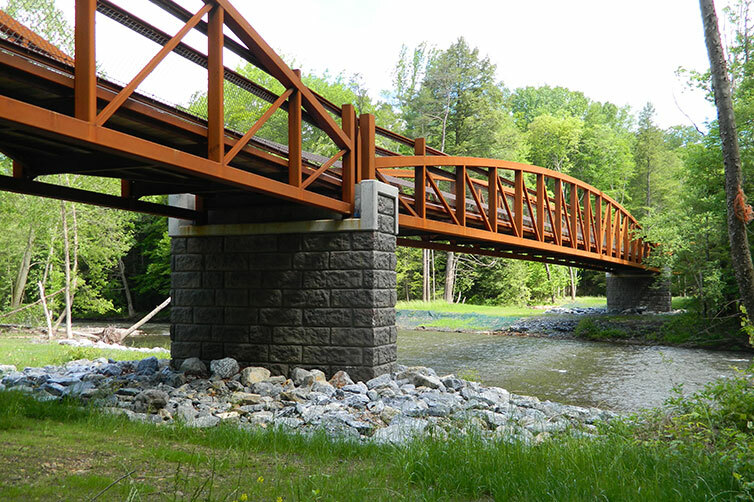 Thematic design guidance for bridge superstructures encouraged a rustic theme, with timber elements for guide rails and decking, weathering steel for trusses, and cut stone form liners for abutments and piers.